At the confluence of the 4-mile long River Dour from Watersend, near Temple Ewell, and it’s tributary coming in from the Alkham Valley, is Kearsney Abbey. On leaving the Abbey, the Dour wends its way through Dover until it reaches the sea via Wellington Dock. 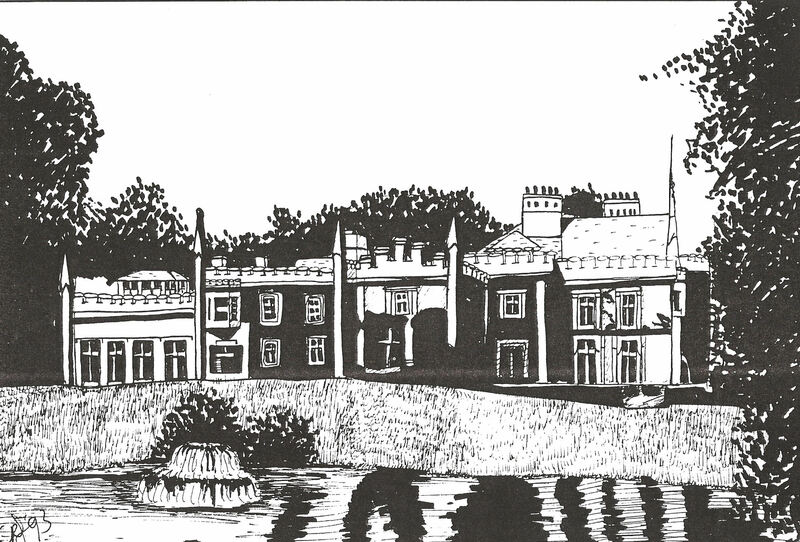 Over the centuries, the name Kearsney appears in many forms, including Casney, Casteney, Kersoney and Kernsey and although not a village it did have a manor. Peter Fector, head of one of Dover’s two original banking and ship owning families, purchased the Kearsney estate in 1790 for £72,000. This included Kearsney Manor, 11,000 acres of land and a corn mill. The Napoleonic Wars (1792-1815) had made the town economically prosperous by providing victuals for both the military and the navy. After 1815 and the Battle of Waterloo, the whole country slid into a deep economic depression but Dover was kept economically buoyant for a while from the income received during the Wars. Albeit, by 1820, like the rest of the country, Dover was in the grip of an economic slump, although not everyone was too badly affected and this included Peter Fector’s son, John Minet Fector. He had inherited the family business along with the Kearsney estate. On returning from an extended tour of the Continent, with his wife Anne and young family of three girls and one boy, he recognized that something had to be done to help the town. 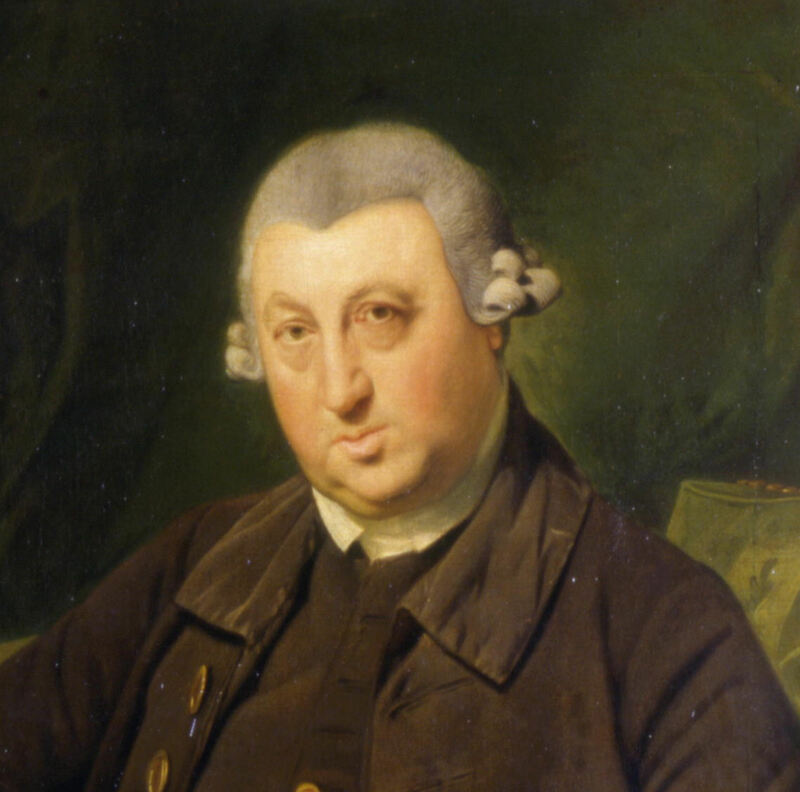 John Minet Fector was very popular with Dover town’s folk having always provided employment when it was needed and he immediately boosted employment prospects by announcing that he was to build a mansion. This was to be within some 90 acres of woodland and meadows at the River Dour confluence ‘in style of an Abbey.’ The mansion and grounds were known from the outset as Kearsney Abbey. Architecturally, the final building was of the John Nash (1752-1835) picturesque Gothic style with a tower, crenellated parapets and supporting buttresses. It was possibly designed by Horton of Buckland, the architect behind the developments that were about to take place along Dover’s seafront. Most of the dressed stonework came from Dover buildings that were being demolished at that time. These included the medieval Town Walls and Gatehouses along Townwall Street and one of the two round towers from the harbour that features in the frieze of Henry VIII’s (1509-1547) departure to the Field of the Cloth of Gold (7-24 June 1520). This event is depicted in one of the Stone Hall windows in the Maison Dieu. The main entrance was south facing and consisted of a magnificent lofty hallway with abbey style windows. Off the hall was a drawing room – 28feet by 20feet and 14feet high; a dining room – 30feet by 21feet; a breakfast room, study and two wings. The east wing led to an oak-panelled library 32feet by 20feet and included a tower room. At the end of the west wing was an oak-panelled billiard room 29feet by 22feet and 22feet 6inches high with adjacent male boudoirs. Upstairs, along a corridor some 50feet in length were 13 bedrooms with dressing rooms en suite and 4 bathrooms. On the floor above were domestic workrooms and servants rooms. There was also a full suite of offices on the ground floor and in the cellars, patent iron wine bins. 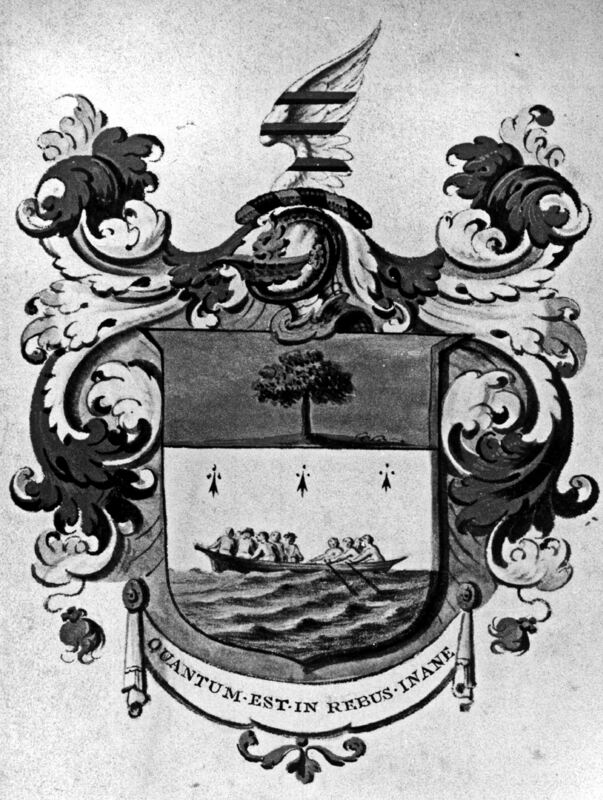 The windows of the billiard room were emblazoned with the Arms of the Fector, Minet and Laurie families. Close friends of both Anne and John Minet Fector, were the artistically minded George Jarvis and Sarah Gunman and they possibly influenced the design. In the grounds was a laundry, dairy, orangery, stables for 12 horses, coach house with standing for 6 carriages and grooms room. 10 workers cottages were built and a gardener’s house. Estate buildings included barns, cow-house, piggeries, 3 acres of kitchen gardens, numerous forcing houses, small mill and an icehouse. An extensive park with four interlinked lakes was laid in the style of Humphry Repton (1752-1818) and planted with deciduous native trees and a variety of trees from North America including the Giant Redwood. The icehouse was east of the main building and was a deep-bricked and later concreted. 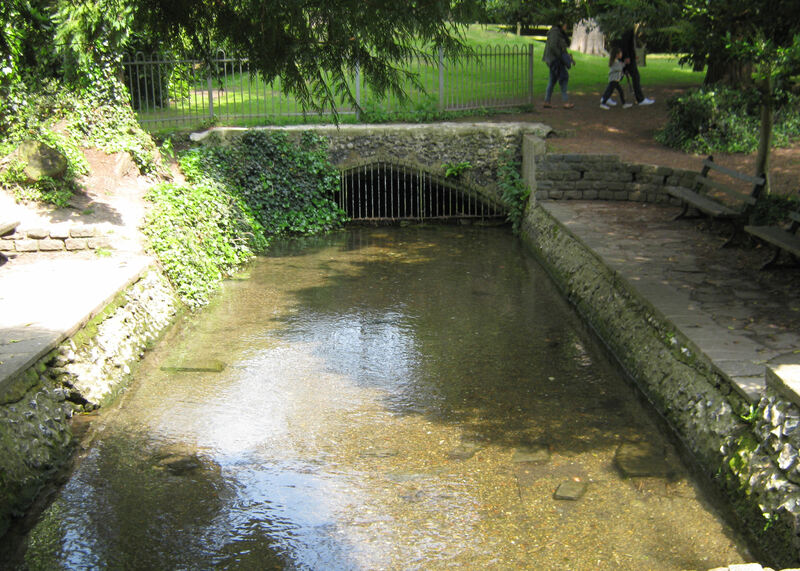 The ice was kept cold by a stream from the main River Dour coming into the Abbey grounds in a culvert from Kearsney Manor and originating at Watersend. 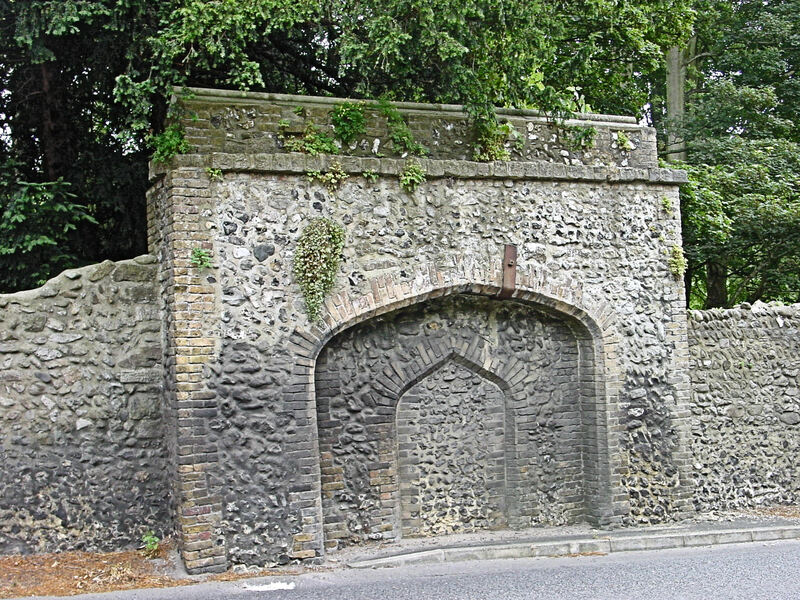 The river water was carried in underground culvert to the icehouse and then was taken, in another culvert to supply was for the fountain in the middle of Kearsney Abbey Lake. Like many other similar country estates that had icehouses, the ice was hewn from icebergs or glaciers and brought in by ship. The ice was kept cool by the depth of the icehouse and the stream of fresh water. The lakes were created where streams from the two branches of the Dour united. Water from the Dour streams supported ornamental fountains that worked by a head of water pressure through pipes. 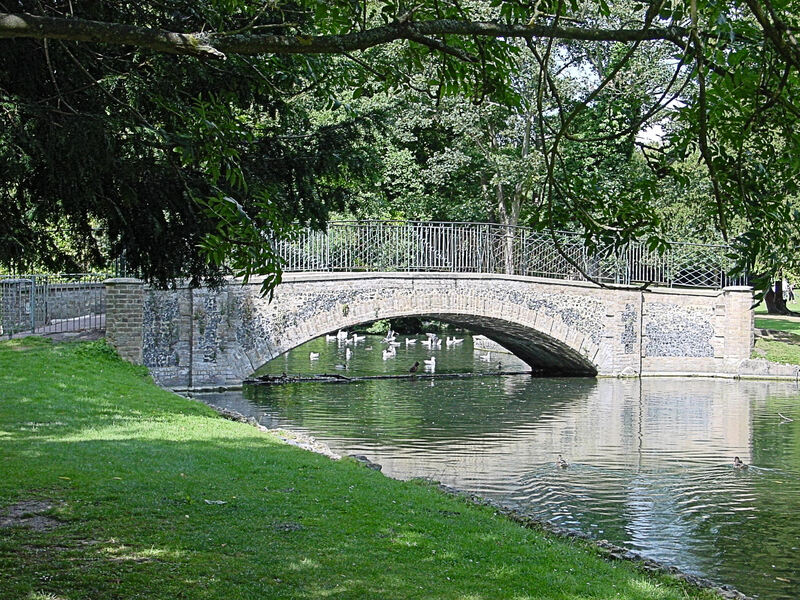 An ornamental bridge with wrought iron railings was constructed and swans that had been nesting for centuries on the Alkham valley Dour tributary quickly made the lakes their home – both can still be seen. Over time the lakes became famous for trout fishing. John Minet Fector bought the old Town Mill erected in 1587, had it dismantled and rebuilt to a smaller scale to the south of the lakes. The internal workings were restored and used to pump water to the Abbey. The mechanism was still in use up until 1924. What remained of the mill was used to build the waterfall along with parts of the medieval Town Wall. John Minet Fector, however, was never to see the town boom again or the completion of his Abbey for he suddenly died on 12 June 1821 at Kearsney Manor. The town was grief stricken with the funeral route, from the Manor to St James churchyard, lined by every man, woman and child in the district. Later a mausoleum was constructed in the churchyard. The Abbey was completed and furnished by the end of 1822 and Anne Fector with her children moved in. Their only son, John Minet Fector junior, born 28 March 1812, inherited Kearsney Abbey and on reaching the age of 21 his mother Anne moved back to Kearsney Manor and he became the master of the Abbey. At the same time John Minet junior, as he was locally known, took over his father’s business enterprises and this centred on the Fector bank. Interested in local affairs he was determined to become one of Dover’s two Members of Parliament and made the South Eastern Railway (SER) line to Folkestone and Dover his principal concern. By 1835 he was one of the four trustees of SER and when the council wanted to buy the ancient Maison Dieu for a Town Hall, John Minet junior came up with a deal. He suggested that the silver his grandfather, Peter Fector, had bequeathed to the town together with the pieces of silver given by the family since, be mortgaged to the Fector bank, on which he would loan the £1,500 needed. The loan was to be paid back over 25 years and as a ‘goodwill gesture’, John Minet junior said that the council could borrow the silver for civic occasions. Dover Corporation accepted the offer. 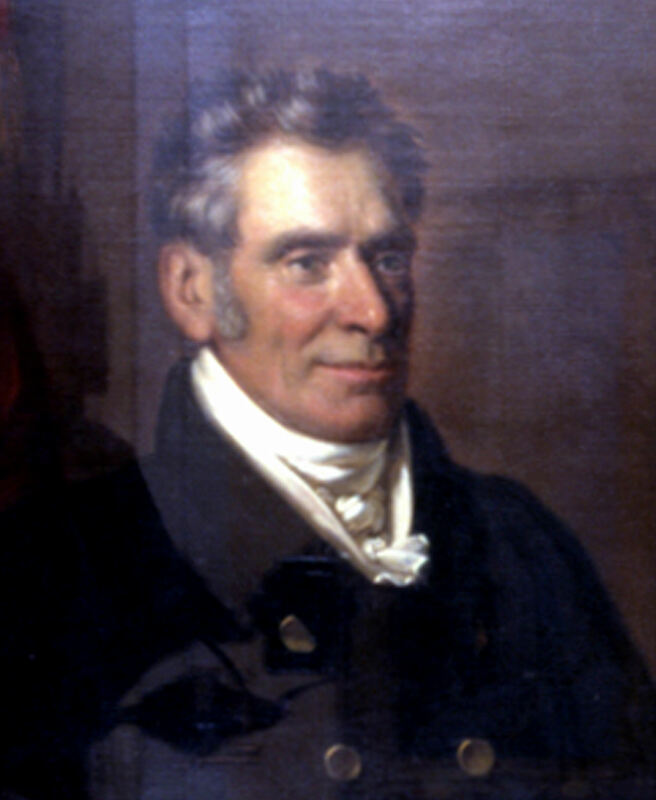 In the general election of April 1835, John Minet junior was one of the two Conservative candidates elected. Shortly afterwards he purchased the hostelry, Little Waldershare, at the top of the old Castle Hill Road. He demolished the building and replaced it with Laureston House, named after Anne Fector whose maiden name was Laurie, and she moved in. From when John Minet junior became the master of Kearsney Abbey he was keen to add Dover’s associated artefacts. Typically, in 1836, during the re-building of a corner shop betwixt Bench Street and Townwall Street, a ‘curious Gothic window’ was found. He had it built into the waterfall structure at Kearsney Abbey. In 1836, the Dover Harbour Commissioners promoted a Parliamentary Bill to raise £60,000 in an effort to combat the reoccurrence of the age-old problem of the Eastward Drift that frequently blocked the harbour mouth with shingle. At the same time a proposal to turn Dover port into a Harbour Refuge was launched. Between 12 May and 7 June a Parliamentary Committee looked at the proposal and it was expected that John Minet junior would back it. However, an SER Bill was going through Parliament that was more to his interest and it received Royal Assent on 21 June. At the time, due to geological problems with the cliffs between Folkestone and Dover, there was talk of terminating the line at Folkestone. SER, with John Minet’s junior’s full backing, bought the run-down Folkestone harbour with the intention of turning it into their main harbour for crossing to the Continent. There was no one listed as resident at Kearsney Abbey in the 1847 Bradshaw and in September 1850 Kearsney Abbey was on the market again. It would seem that the portion between the waterfall and Minnis Lane, River was seen by a speculator as an ideal site to erect 20 cottages. According to the plans, these backed on to the Dour, which was to be used to fill each garden’s fish pond, but the plan came to nothing. In 1854 the whole estate was on the market again and was bought by Ebenezer Fuller Maitland, High Sheriff of Berkshire and Deputy Lieutenant of the City of London. However, in the autumn 1857 Mr Maitland died and the Abbey was cleared of all furnishings. The Abbey was then available for renting with the advert stating that the grounds were only 15acres and asking intending tenants to contact a Mr Bockott or a Mr Bailey – both having London addresses. 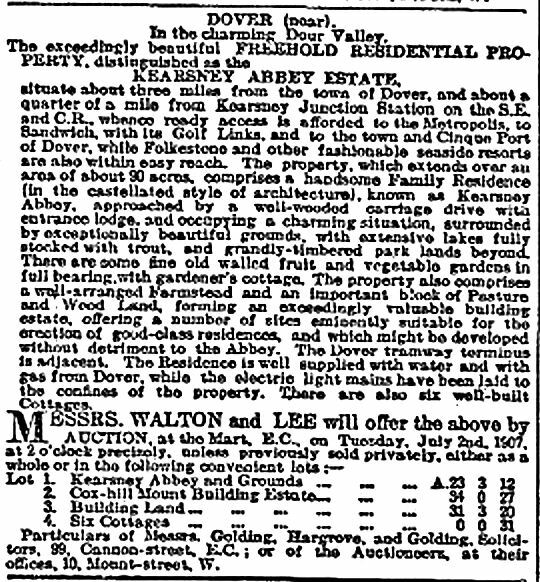 In the spring of 1859 the Kearsney Estate was on the market again. An Act of 1853 had led to formation of the East Kent Railway, and on 22 July 1861, having successfully changed their name to the London, Chatham and Dover Railway, the Company opened the line from London to Dover Priory. 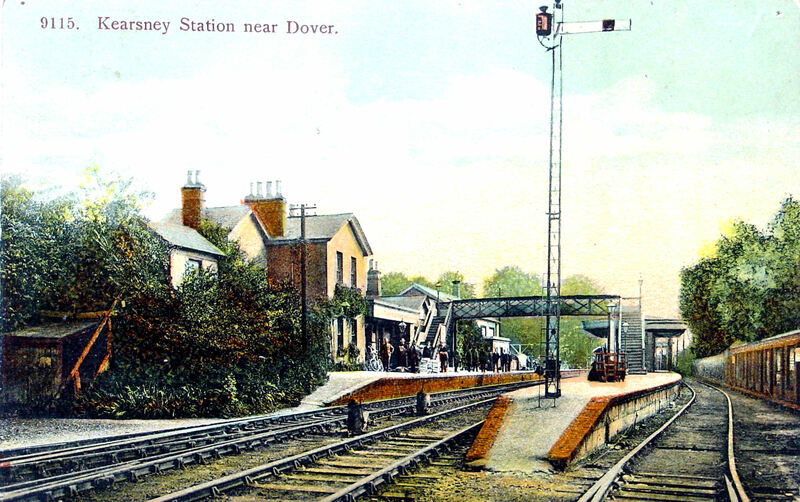 The station before Dover Priory was at Kearsney with Halts in between. The Kearsney station had a small goods siding and platforms for passenger trains to serve the villages of River and Temple Ewell. Not long afterwards the development of the hamlet of Kearsney began. The opening of the railway line to Kearsney was subsequently used as a selling point following EC Jones repurchasing the property. He put the Abbey along with Kearsney Manor on the market stating that London was only 2hours away by train from Kearsney station and that the continental packet service only 3 miles away. It would appear that the Abbey was leased out for there is a bell dated 1868, marked ‘Smith and Sons Clockmakers, Clerkenwell’ and made by Mears and Stainbank of Whitechapel that came from the Abbey. 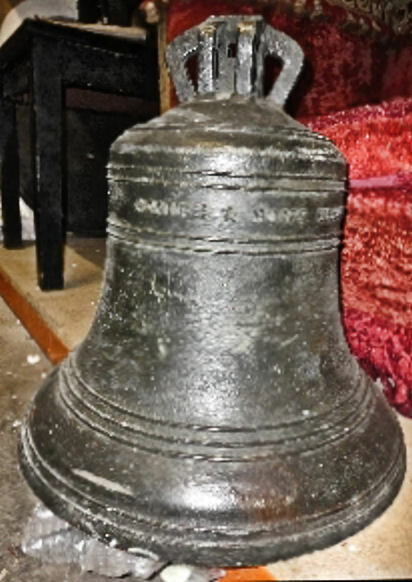 The bell is now at Dover Museum. During the Easter weekend of the following year, 1869, the grounds of the Abbey were open for visitors during the annual Volunteers review held in the town. That year however, the weather was atrocious and in the early hours of 29 March, Easter Monday, the crew of 17 men, 8 stewards and 86 boys including some of the boys from Dover’s Sea Scouts – later Sea Cadets – were rescued when the training ship Ferret hit the Admiralty Pier. 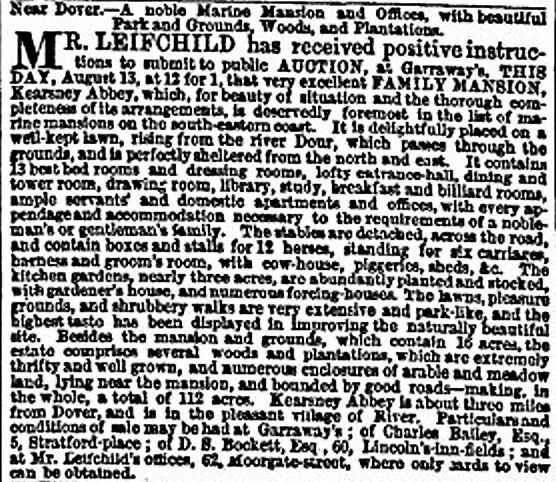 In 1870, The Kearsney estate including the Manor was bought by Dover’s former Mayor, (1867) Joseph George Churchward, for £10,500. Journalist and entrepreneur, Churchward came to Dover in the early 1850s to take over the Packet Service when it was franchised to the private sector. He lost the franchise to the London, Chatham and Dover Railway Company in 1863 but negotiated an excellent price for his ships, offices and the Packet yard – which he founded. Heavily involved in local politics, Churchward owned two local papers and used them to the full to influence the electorate. The census of 1871 lists Churchward, his wife Annabella and four of their children, George, Rose, Charles and Alavic as living at the Abbey. There the family were attended by a full retinue of servants under the charge of an imposing butler named Sutter Sulliman from Persia. The only daughter, Rose, married in Westminster Abbey in February 1874 but in September the following year Churchward, put Kearsney Abbey on the market and moved to Kearsney Manor. During his tenure, Churchward had ‘modernised’ the Abbey however, in what way is unclear. It was sold by private treaty to Francis Lyon Barrington, the Sheriff of Durham, the following year. Although only 47, Barrington died in the spring of 1877 and the whole 90acres of the Abbey estate was on the market again. Patent iron wine bins that were bought in the 1820s were sold as a separate item. John Henry Wellington Graham Loftus, fourth Marquis of Ely (1849-1889) bought Kearsney Abbey as a country estate and it would seem that it was he who had the aviary erected. It is known that the Marquis had culverts installed to regulate the flow of waste water from the mills upstream to prevent the lakes from flooding. The culverts were capped and are still there. During work carried out in 1974, it was found that the culverts lay on an ancient rough flint track. By 1882, the whole of the Kearsney estate had been split with 26acres of the land to the north of the Abbey and west of the Manor, sold. There Kearsney Court was built. The 90 acres that made up the Kearsney Abbey estate remained in the possession of the Marquis of Ely but he died suddenly on 4 April 1889 in Nice, south of France. The Marquis had married Caroline Caithness in 1875, but they did not have issue. Even though his cousin succeeded him to the title, Lady Caroline owned Kearsney Abbey. Immediately following the funeral Kearsney Abbey was put up for auction but it was not until 1892 that Faversham gunpowder manufacturer, Charles William Curtis (1824-1905), bought it paying £17,000. Curtis was a descendent of Sir William Curtis (1752-1829) Lord Mayor of London and MP for the City. Sir William also owned Cliff House, Ramsgate, where on 24 and 25 September 1821, George IV (1820-1830) stayed and granted Ramsgate harbour Royal status. Sir William erected a monument to this effect and on an island in one of the Abbey lakes Curtis placed a miniature replica. The 1901 census lists Kearsney Abbey as having 14 domestic staff including a butler. That year a syndicate was formed by Dover Harbour Board chairman Sir William Crundall (1847-1934) and included Weetman Dickinson Pearson – 1st Viscount Cowdray and John Jackson (1851-1919). At the time, all three were involved in the building of the Admiralty Harbour and the Dover, St Margaret’s and Martin Mill Railway Line. Crundall was also the Chairman of the privately owned Dover Electricity Company and the syndicate proposed to build a tram/railway service powered by electricity. The line was planned to run from the Dover-Deal railway on Crabble Hill to St Peter & St Paul’s church, River, and then through Kearsney Abbey to the Alkham Valley terminating about a quarter of a mile north of the road leading to Chilton Farm. Curtis objected and although an official inquiry in 1902 gave permission for the tram/railway project to go ahead it stated that the line was to terminate at Minnis Lane, River. In the event this became a tramline. Hardly had the dust settled when Curtis was making more objections. 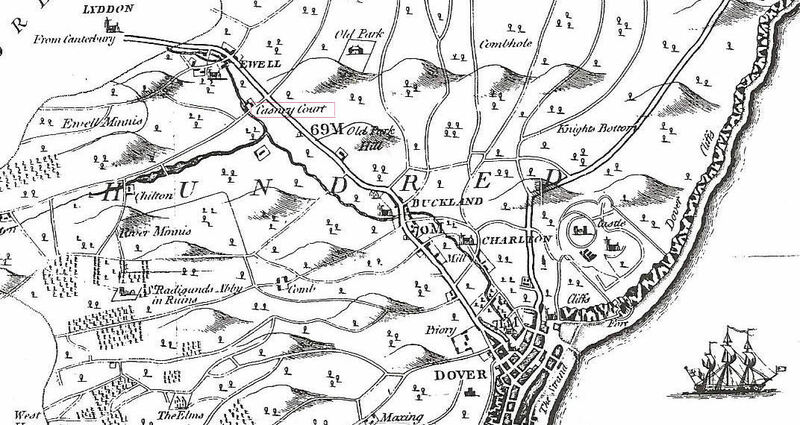 This time it was over a proposal to extend Dover Borough boundaries to include River and part of Temple Ewell parish. At the public inquiry the opposition was vociferous and although the extension was granted to include River and Kearsney this was only as far as the Railway Bell on the London Road. Temple Ewell, Kearsney railway station, Kearsney Manor and Kearsney Abbey remained part of the Rural Council. Both Curtis and his wife, Henrietta Francisca, had quickly assimilated themselves into the local community with Curtis taking the role of a benevolent country squire. He actually looked the part as he had ‘cherry face and well developed features’. Active in local matters Curtis gave generous donations to local charities and every year the couple entertained the River Sunday School in the grounds of the Abbey. 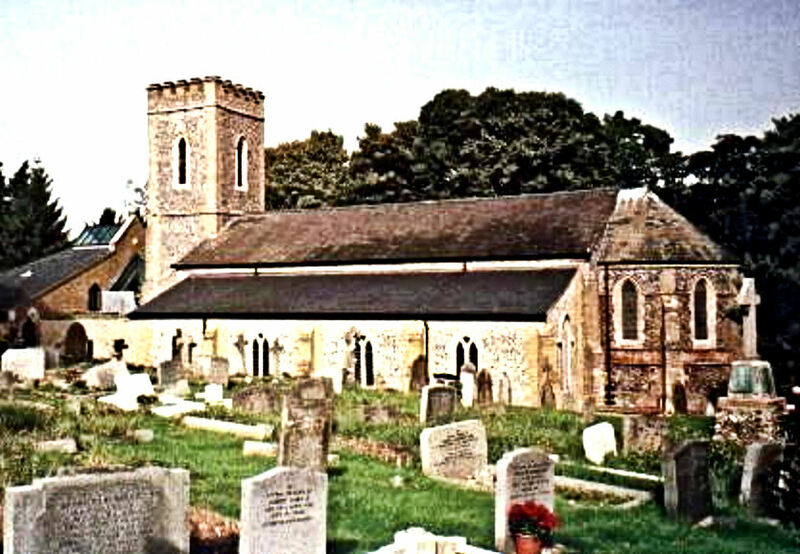 Indeed, when Curtis died at the Abbey on 5 May 1905, age 81, it was reported that the whole village of River turned out to his funeral held in St Peter and Paul’s Church. It would appear that the asking price for Kearsney Abbey was not reached, for following the death of the Major in 1910, Catherine Simpson still owned the property. She re-opened the laundry and made a number of internal alterations that included ‘modern conveniences.’ She then leased the Abbey to American author, Benjamin Franklin Lieber (1853-1915) of the Lieber Code Company, New York. Mr Lieber and his family used the Abbey for a summer residence until his death in 1915. Mrs Simpson put the Abbey on the market and in the summer of 1919, the contents were put to auction. These included a collection of English and Italian furniture such as a carved oak dining table, Venetian and Florentine carved walnut cabinets, chairs, table and screen, ‘Calrene’ drawing room appointments inlaid with mother-of-pearl and ebony – the chairs and settees covered in ‘Borg du Barry’ silk damask. Bedroom furniture of similar quality ornaments, a well stocked wine cellar, household effects and Turkish, Wilton and Axminster carpets. Also for sale was a 28-30horse-powered dark green Humber limousine car with grey upholstery and bodywork made by Starey and Woolley of Nottingham. In March the following year, the farmland was on the market as building land. Having remarried, Catherine died in Monte Carlo in February 1926. Professor Mark Purcell Mayo Collier (1857-1931) purchased the Abbey in 1920. Known as Mayo Collier, he was an eminent London surgeon that in 1878, had made a name for himself as the medical officer in charge of the Dardanelle’s Expedition during the Russo-Turkish war (1877-1878). On returning he set up as surgeon on Harley Street specialising in afflictions of the Ear, Nose and Throat, and was the consultant to a number of London Hospitals. Eventually Mr Collier was appointed Professor of comparative anatomy and physiology at the Royal College of Surgeons. Immediately on purchasing Kearsney Abbey, Professor Collier’s wife, Florence ‘Queenie’ born in British India in 1873, took control. The Abbey was refurbished and refurnished, ten servants including a butler and a footman were employed, plus gardeners and coachmen. However, in March 1924, the fully furnished Abbey was on the market again and again every year until 1930. Queenie Collier, it would seem, was not altogether in agreement with this as, concurrently, she placed adverts for servants and was very specific in her requirements. For instance, in 1926 she required a ‘Useful man … who must be intelligent, tall of good appearance, accustom to the care of dogs and not under the age of 24years.’ As time past, the age requirement of Mrs Collier’s male servants was increased to 30years and over. They also had to be teetotallers and non-smokers. Professor Mayo Collier died at Kearsney Abbey on 20 September 1931 aged 74 and following his death Queenie remained at Kearsney Abbey. Occasionally Frederick E Murray-Collier stayed albeit, Queenie was an active participant in Dover’s social life and had a box permanently reserved at the Dover Hippodrome on Snargate Street. In 1933 there was great excitement when the gardeners, dredging the Kearsney Abbey lakes found a locked strong box. It transpired that it had been stolen from St Augustine’s church, East Langdon the year before along with candlesticks and the church records. However, in 1937, Queenie decided to move to Folkestone and the Abbey was put on the market again. The description of the internal and external structures showed very little change while in the grounds, the estate was listed as having a laundry, dairy, orangery, stables and garage, 10 cottages, farm buildings and parkland. On leaving the Abbey, Mrs Collier wanted to take furniture, furnishings, linen, paintings and household effects plus two tons of silver ornaments, cutlery etc. to her new home. The carrier organising the removal agreed except for the silver which he feared would lead to his lorry being hi-jacked. Eventually a compromise was reached whereby the carrier moved all the other items during the day and the silver, ‘secretly’ in the middle of the night! Section I – Chilton Way – An extension of Lewisham Road, laid out to a width of 30-feet with footways 5-feet wide and an additional 200-foot of grass verge which would enable the street to be widened to 50-feet in the future. Section 2 – Chilton Way – A continuation of the above to a width of 30-feet, with footways 5-feet wide. Section 3 – Coxhill Gardens – To be of a width 30-foot, with footways 5-feet wide. Section 4 – Coxhill Gardens – A continuation of the above for a length of less than 500-feet to be of a width of 24-feet, with footways 4-foot 6-inches wide. Section 5 – Chilton Close – An approach road on the west side of Chilton Way Section 2 and to be 14-feet wide with a pathway of 4-feet wide on one side. The proposal was given approval and by the end of the year the development was partially built. The River Dour walk, as visualised by Abercrombie, is still the dream of many Dovorians but at that time along with Kearsney Abbey being used for recreational purposes, the notions were dismissed as ridiculous. 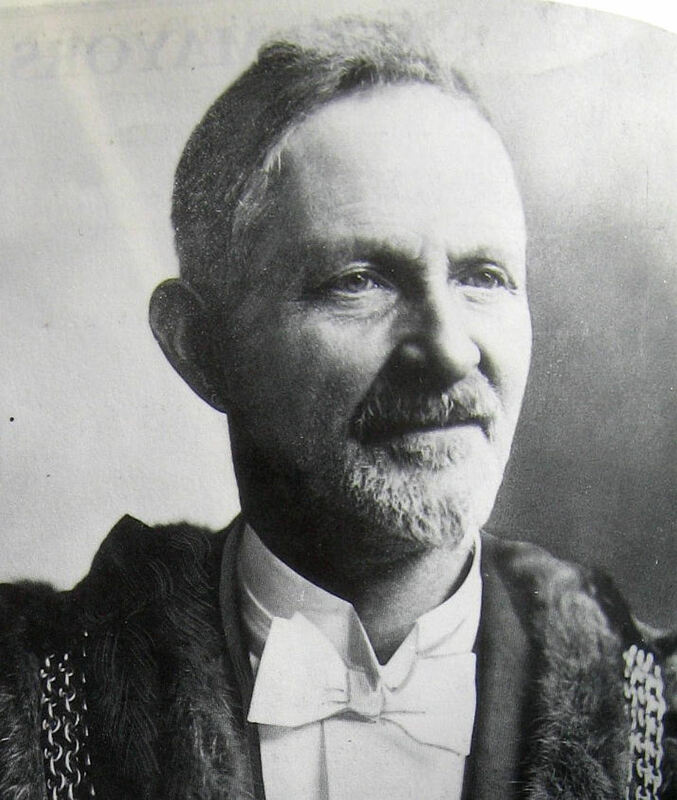 Nonetheless, Councillor Hilton Russell – Mayor of Dover in 1928 and 1929 – endorsed the idea. DBC bought the Abbey and 25 acres of land for £10,000 but the general consensus was that the Abbey should be demolished and the land redeveloped for housing. Cllr Russell stuck to his guns arguing that the Abbey should be leased for educational purposes for 4 years, until a final decision was made on its future. In 1946 Cllr Russell made his stance an issue during the local elections but lost his seat. A few days later the Dover Rural District Council (DRDC) elections were held and Cllr Russell was elected to represent Temple Ewell. Lack of money and material resources precluded any housing development taking place so DBC neglected both the Abbey and the grounds. Although these were owned by DBC they were within DRDC’s boundaries and when Cllr Russell was appointed to the DRDC Pleasure Grounds Committee he put pressure on DBC to restore both the Abbey and the grounds. DBC argued that it would cost £30,000 to restore both – money better spent on new housing. Neither Cllr Russell nor the DRDC would give up so DBC asked the Boundary Commission to bring the Abbey and grounds within their jurisdiction. Under the controlling influence of the formidable Town Clerk, solicitor James A Johnson, DBC put forward a strong case. However, at the end of June 1949 the Boundary Commission was wound up and Kearsney Abbey remained within DRDC’s domain. Two months later part of the Abbey grounds was sufficiently renovated to allow public access. 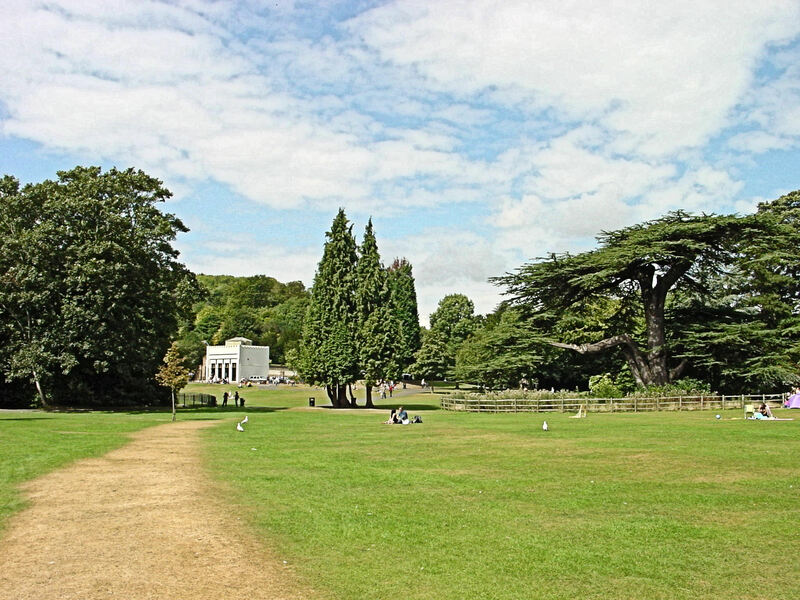 However, in November that year, DBC submitted a Bill in Parliament to bring within the Borough part of the Buckland Housing Estate and in a sub-section added Kearsney Abbey and Grounds. Although DRDC did object, only 23 people turned up to the public meeting called by the council to approve a Parliamentary Bill to extend the boundaries. 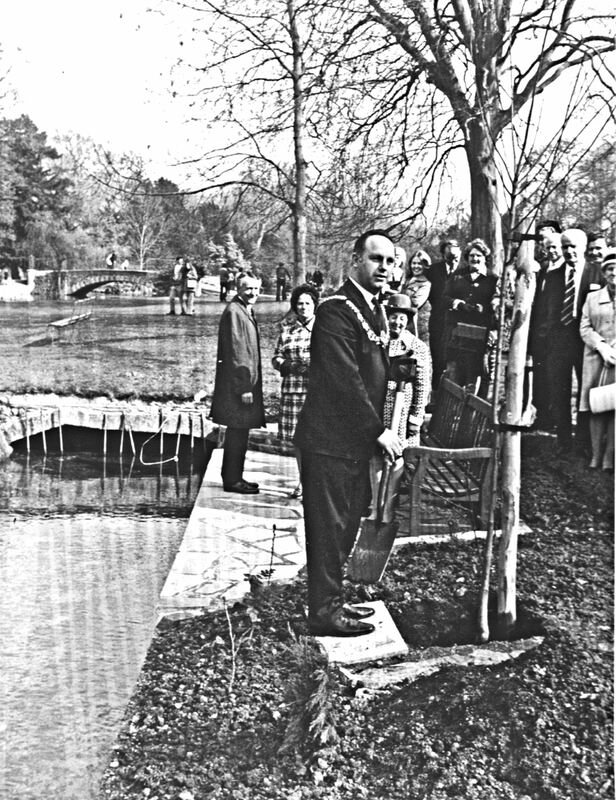 In 1950 Cllr Russell was appointed chairman of the DRDC’s Pleasure Grounds Committee and successfully piloted the scheme to purchase the gardens of Kearsney Court and to return them to their former glory. Named Russell Gardens, they were formally opened in May 1951 and were immediately seen as a jewel in the DRDC crown. The Bill received Royal Assent in 1950 and came into force in April 1951. The boundary stone to mark the event can be seen outside the Abbey grounds on the Alkham Valley road. 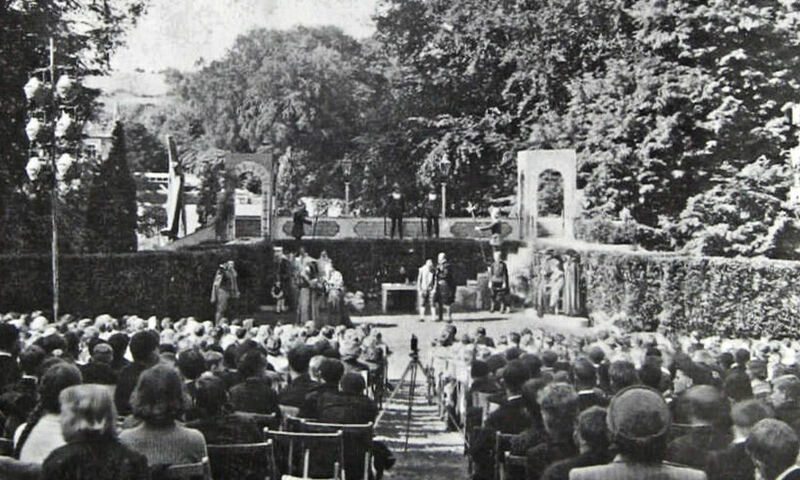 The park land was tidied up and as a contribution to the town’s Festival of Britain celebrations that year, on specially constructed grass staging, the Dover Players put on a production of A Midsummer Night ‘s Dream. Janet and Malcolm (Mac) Young founded the company in 1947 and they put on a number of outdoor productions at the Abbey, some of which over 4,000 people attended. It was said that in one production, author Jeffrey Archer, who was a Physical Education teacher at Dover College, starred as Puck. 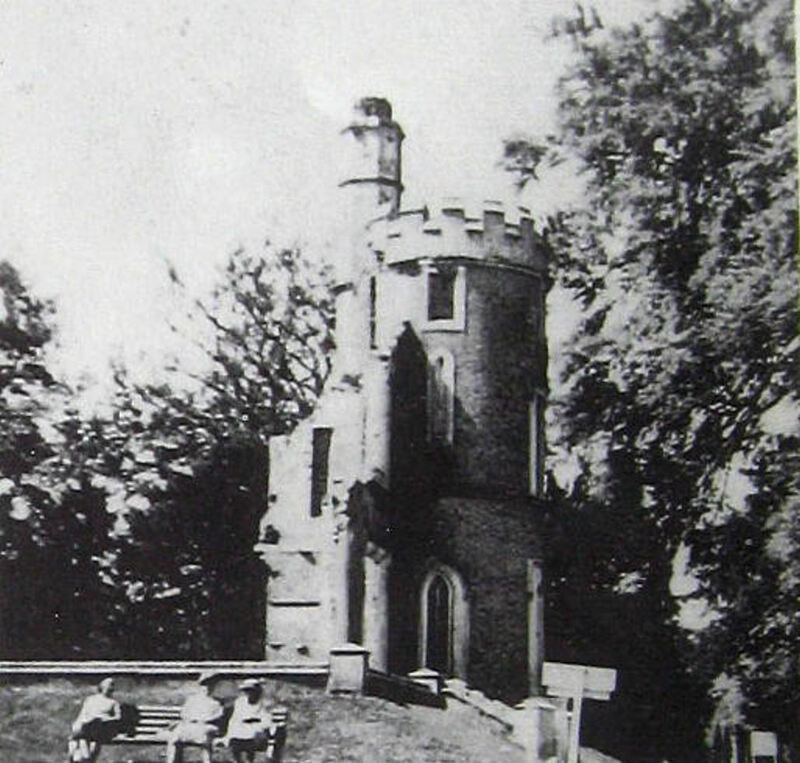 1952 saw the newly launched Dover Archery Club granted permission to use part of Kearsney Abbey grounds for target practice and in 1953, with the Coronation of Queen Elizabeth II, the grounds played a key part of the Dover celebrations. Throughout this time talk over the future of Kearsney Abbey centred on the demolition of the building and selling of the land for development. The building had been empty since 1945 with no attempt at making repairs let alone refurbishing and this was of concern to an increasing number of locals. Towards the end of the War the Dover Excavation Committee had been set up with the prime objective to examine and record as much of the blitzed areas as possible before rebuilding started. Once building started, perfectly good or repairable buildings, many ancient, were demolished in the name of progress. The Dover Excavation Committee started to challenge this and so their funding was cut and they were officially disbanded. Nonetheless, former members remained particularly vociferous over Kearsney Abbey and were increasingly being supported by the general public. Reluctantly, DBC promised to spend money on refurbishment but first they commissioned a survey on the state of the Abbey. Carried out by the Borough Engineer, and in his report of 24 February 1959 he stated that ‘a detailed examination of the surviving part of the mansion at Kearsney Abbey has disclosed that the whole of the timbers of the top storey and the roof are affected by dry rot, and the wooden lintel supporting the wall over the bay of the east wing is also affected, as result of which cracks have appeared in the wall above, that there are numerous other minor defects.‘ He recommended that, ‘no further expenditure be incurred on the building, that with the exception of the tearoom and the lean-to kitchen, the whole of the remaining part of the building be demolished.’ The report was approved but it brought about a public outcry with a demand for an independent survey and a collection was started to undertake this. 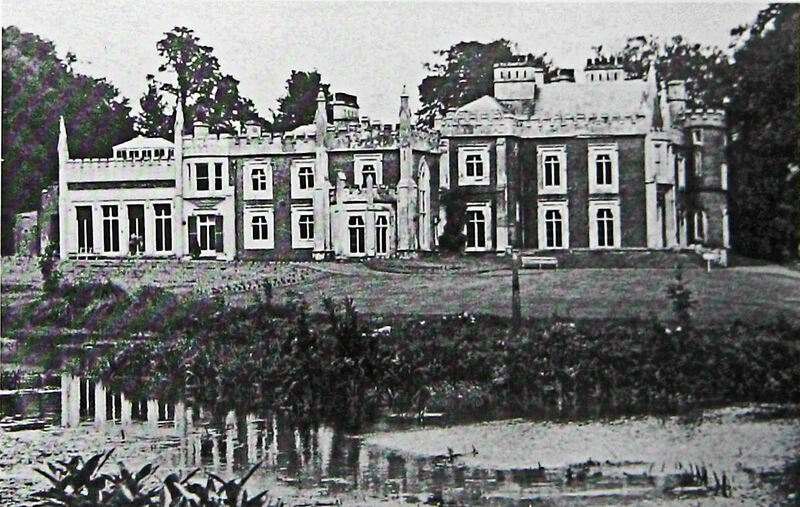 In February 1960, the council accepted the offer of £231 for the right to demolish the suggested part of Kearsney Abbey from the Dover Demolition and Erection Company. For a while the remaining part, which included the tower, stood forlornly until the demolition contractor offered to pay the council £2,000 to demolish it. His caveat was that he kept the debris along with the remains from the earlier demolition and this was agreed. When he finished, all that remained of the Abbey was the old billiard room/tearoom, and that was because it had been earmarked for use as an office. At the time, consideration was being given to using the grounds for overnight parking to relieve local roads and car parks from caravans destined to cross the Channel the following day. However, when various building proposals were suggested for the site, the caravan park idea was dropped. 1964 saw David Ennals (1922-1995), who knew little about Dover, capturing the parliamentary seat with the slender majority of 418 votes. One of the first things that Ennals did was to form the New Dover Group, to provide him with information and ideas for his new constituency. 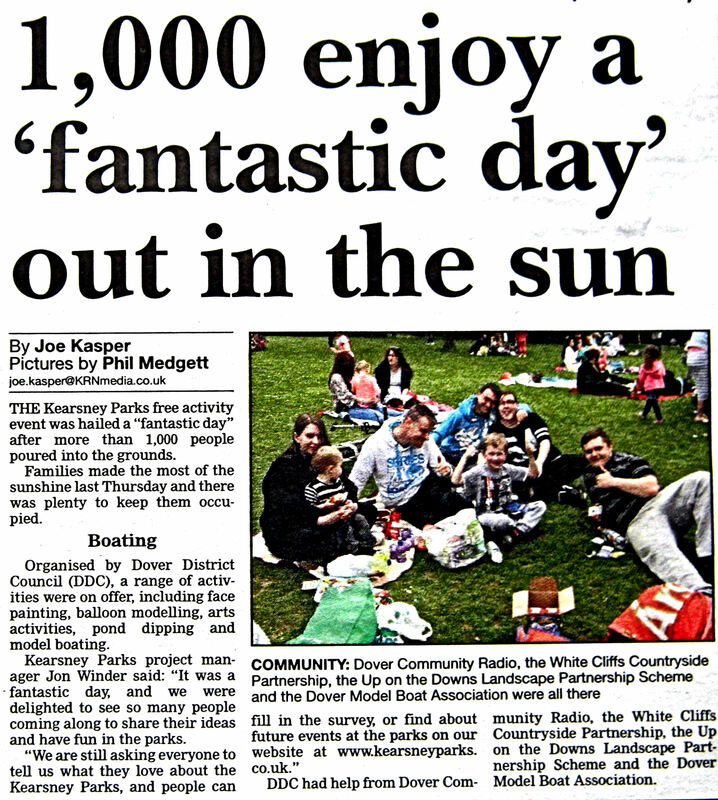 Initially the membership was by invitation, but soon the Group divorced itself from its political origins, opened its doors to all residents of Dover and those interested in the town. 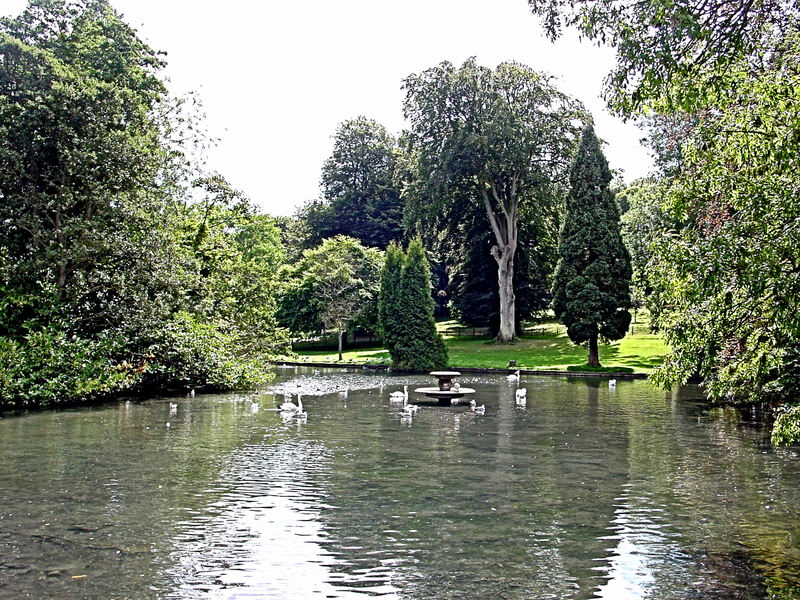 Becoming an amenity group, one of the first projects was to try and save the Kearsney Abbey grounds from development. They also took up the Abercrombie concept of a riverside walk between Kearsney Abbey and the seafront. DBC accepted, in principle, the dedication of a metre wide strip adjoining the Dour, for this path, whenever planning consents were granted along the Dour. Part of the Kearsney Abbey estate, before the War, were the cottages along the Alkham Road. These, by this time, were dilapidated. The town was split between having them condemned and demolished and the New Dover Group, who wanted them renovated – DRDC, in whose authority they were, voted to have them renovated. Then, in 1970, to raise finance, DBC put part of the Abbey grounds on the market for development and attractive offers came pouring in. At the same time Kent County Council (KCC) were becoming increasingly concerned that much of what was left of old Dover was succumbing to demolition in the name of progress. That year they designated large areas of the town as conservation areas and although these did not include Kearsney Abbey grounds, the New Dover Group hoped that what had happened would be seen as a warning shot. However, in January the following year KCC, having voted to widen the Alkham Valley Road, obliged DBC to ask the Minister of the Environment for permission to sell them a strip of land for the purpose. Permission was given on the understanding that a new high wall was built at the expense of KCC to replace the one that had to be demolished for the scheme. What remained of the wall later received English Heritage Grade II Listing. Albeit, DBC, against strenuous opposition of the New Dover Group, sold the Abbey kitchen garden and paddock, close to Lewisham Road for development. 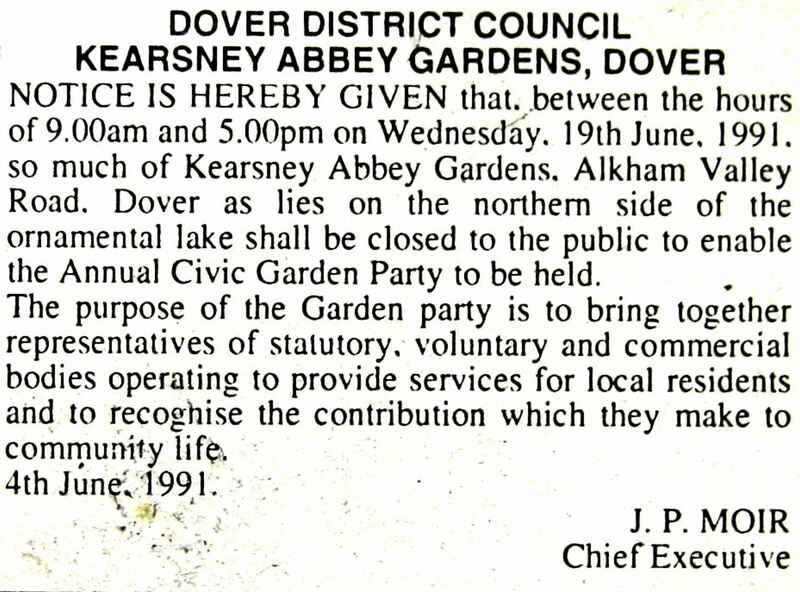 Three years later, on 1 April 1974, due to Reorganisation of Local Government, DBC along with DRDC and other local councils in the area were amalgamated to form Dover District Council (DDC). Within two months, the newly formed DDC purchased Bushy Ruff House and its 26 acres, on the Alkham Valley Road, for about £90,000. The house and grounds are next to Russell Gardens that were inherited by DDC from DRDC through the Reorganisation. The following year an appraisal of the state of the trees within the Abbey grounds was undertaken and it was found that some were significant in their own right. They included Yew trees (Taxus baccata), an Indian Bean tree (Catalpa bignonioides) – a native of the Eastern United States, Cedar of Lebanon (Cedrus libanil) Atlas Cedar (Cedrus alantica), Deodar (Cedrus deodara) – a native of the Himalayas and one of the first introduced into Britain, Weeping Ash (Fraxinus excelsior C. var Pendula), Common Lime (Tilia vulgaris) Evergreen Oak (Quercus Ilex). A purple Copper Beech (Fagus sylvatica C. var Cuprea) was identified and was believed to be a survivor of five which, according to legend, had sprung up in Zurich, Switzerland, on the spot where five brothers had killed each other. However, further examination showed that the Kearsney Abbey tree had been grafted at a height of about four feet. The swans were still nesting at the Abbey, as the grounds are generally called and a pride of three peacocks were given a new home there. They were joined by silver pheasants, ducks, moorhens, coots, Chinese, Canadian and greylag geese, some of these birds were introduced, others arrived on their own accord. The peacocks, unfortunately for householders in the neighbourhood, used their island home as a base from which they plundered gardens. As they became bolder, having enjoyed a good meal, instead of flying back, they walked along the centre of neighbouring roads to the Abbey causing traffic mayhem! To deal with the increasing problem, the peacocks’ flight feathers were cut on a regular basis, also a bird-feeding budget was ring fenced. Voluntary wardens were appointed, one of which was Brenda Pittaway. In the 1980s DDC introduced the policy of making Dover a tourist destination. This was welcomed by the town’s folk and initially was within budgetary possibilities. Then consultant expertise was brought in and costs escalated as the expensive White Cliffs Experience (WCE) was introduced as the lynchpin attraction. The DDC Tourism and Amenities department was disbanded on 31 March 1987 and the running of parks and open spaces came under the auspices of the Director of Planning and Technical Services. 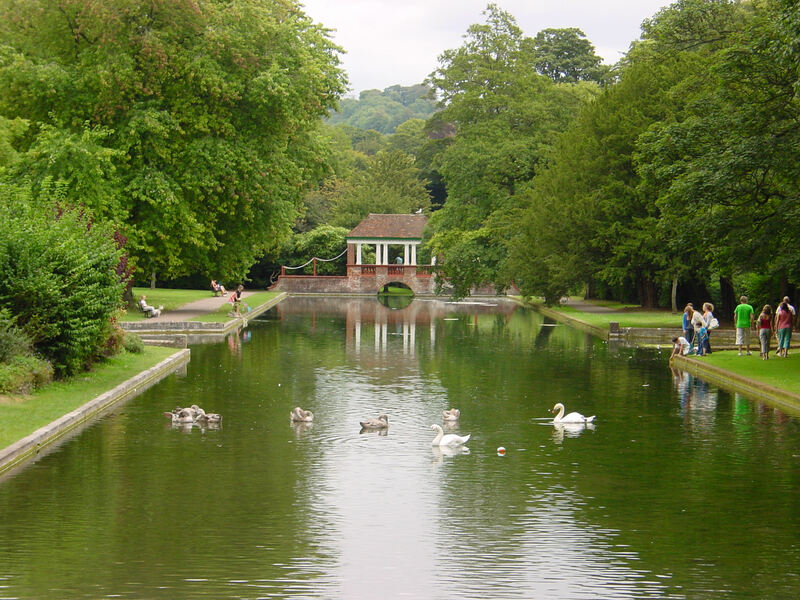 The WCE was to be paid for by the selling of Dover’s open spaces including Kearsney Abbey. There was immediately a public outcry and DDC quickly dropped the idea. Instead, they announced that Abbey grounds were to receive a makeover and besides a public amenity, they would be used for civic functions. Particularly, there would be an annual civic party to which a wider cross-section of local interests and voluntary organisations would be represented. This idea, although short lived, proved successful. At the same time, regular Sunday afternoon band concerts were introduced during the summer months and the Abbey was increasingly used for fun activities organised by the White Cliffs Countryside Project (now White Cliffs Countryside Partnership). In 1989 brown rot was found in the only part of the Abbey that was left standing – the billiard room/tearoom. The council’s initial reaction was demolition especially as it would cost £5,000 to deal with the problem together with refurbishment. Further, the car park and footpaths needed resurfacing, costing a further £3,500 and there had also been a number of complaints about the misuse of a designated bar-be-cue site within the grounds. After much debate, it was decided to undertake the resurfacing and relocating the bar-be-cue area but the cost of demolishing the tearoom was prohibitive! Nearly a decade later and very little had been undertaken to deal with the Grade II Listed tearoom problems. With the aim of preservation, architects at DDC designed a timber framed veranda-style extension but English Heritage did not approve demanding a full restoration. Councillors made it clear that in their opinion the existing building was ‘long out of date’ but did acknowledge that the tearoom made approximately £15,000 a year profit. In 2000 the then DDC Director of Planning, now Chief Executive, Nadeem Aziz announced that the feeding budget of swans at the Abbey was to be stopped and councillors were suggesting that some of the swans should be culled. At the time there were 41 swans, the same number as there had been for the previous 11 years. In a letter to the Kearsney Abbey voluntary warden, Mrs Pittaway, Mr Aziz said that the number of swans were causing an increase in salmonella and streptococci in the water and the excessive number of birds meant that large areas of the lawns were unsuitable for public access. Mrs Pittaway, was mortified and a public outcry ensued followed by a public meeting. There, Dr Jane Cuthbert, an independent scientific adviser, showed that the council’s argument on bacteria was flawed. The Egham based Swan Sanctuary tested the water and found no evidence to linking any bacteria with the swans while it was generally stated that the grass around the lakes was mowed so short that it was inevitable that at times it was a quagmire. The council backed off and the swans along with other waterfowl are still there and the Abbey grounds remain amongst the most attractive in the county of Kent. Occasionally would be building developers pass a covetous eye over the site and make attractive offers, though public feeling prevails against such outcomes. Even though, all but the repaired billiard room of the original building has been demolished, the former coach house and cottages on the Alkham Valley Road remain. All are English Heritage Grade II Listed. There are also a number of structures within the Abbey grounds that have this Listing including, the Bridge between two of the lakes; the remains of the original Wall and the Gate Piers; the Wall at the end of the final lake and the Ruins that form the waterfall. Recently, DDC have been awarded £3.3 million from the Heritage Lottery Fund and Big Lottery Fund’s ‘Parks for People’ programme to bring the Kearsney Parks to life. This entry was posted in Kearsney, Kearsney Abbey, Kearsney Abbey, Kearsney Abbey, Kearsney Abbey Mansion, Open Spaces, Tourism, Wanton Destruction. Bookmark the permalink.